Robert Howard, estimated to be 35-years old, was killed by a fighting pit bull. A Detroit man died Thursday after he was bitten by a fighting pit bull on Mack Avenue and Lakepointe Street. 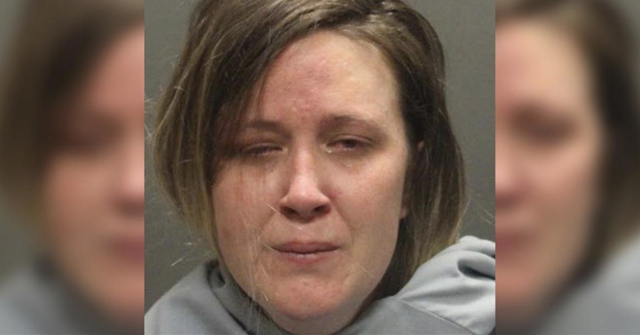 Police said a woman came out of her home when she saw a stray pit bull attacking her dogs. 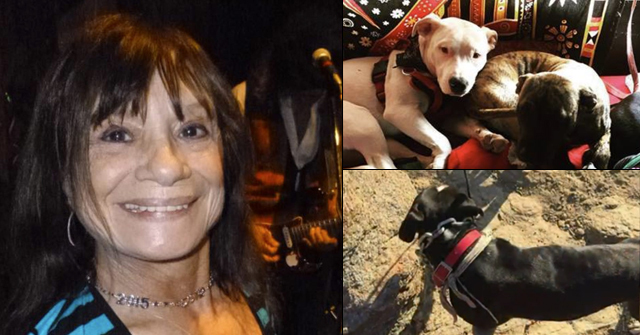 When the woman tried to stop the attack, the pit bull started coming toward her. Robert Howard came out of his house to help the woman, when the pit bull turned on him and bit him in the calf. "The dog had tore into his calf and when he let go, he just snatched and pulled all the arteries out. He was lying on the steps, and when I checked his vital signs he was already dead then," said Howard's friend Isaiah Brown. Witnesses interviewed by ClickOnDetroit said that loose fighting dogs (pit bulls) are a problem in their Detroit neighborhood and believe this pit bull to be one. Yet according to the ASPCA and pit bull advocates, fighting dogs do not attack human beings. Dogfighters allegedly "culled man-biters" from their bloodlines, despite the fact that famous fighting bloodlines such as, Bolio, Chinaman, Zebo and others are widely known to encompass man-biters and man-eaters. 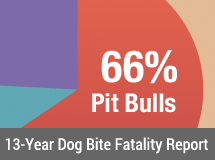 1Pit bull advocates often say that fatal pit bull attacks are reported more than any other fatal dog attack. This is entirely untrue. 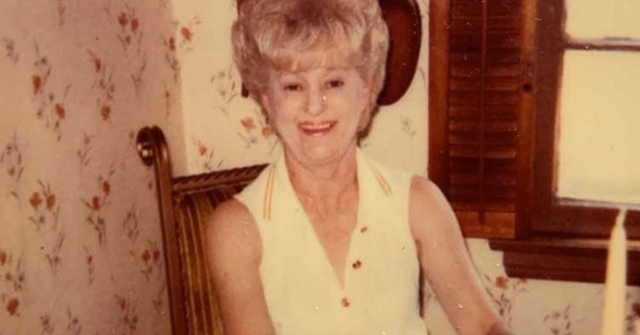 The story of Robert Howard was reported by a single media outlet. What is true is that pit bulls fatally attack more humans than all other dog breeds combined every year. The ASPCA and other organizations like Bad Rap and Best Friends always point out that pit bull “dog aggression” is NOT “people aggression.” Here we have a man trying to break up a dog attack who gets killed by a pit bull. While dog aggression and people aggression may be different behaviors, the former often leads to the latter and in this instance, it lead to the death of a grown man — not an infant or a senior citizen. Robert Howard is dead due to genetic pit bull dog aggression. neighbor. I feel very sad about this because I lost a third of one leg to a pit bull. The dog that attacked me was purchased as a pup from dog fighters. The idiot that owned the dog had a parting stick with him and pryed the dog’s mouth open. Should I thank Bad Rap for the parting stick? These dogs are very prey driven and a true fighters dog will often be calm around humans except when they’re attacking another dog. In my case the genetics of the dog made it very prey agressive. Guess who was prey? Yes pit bull advocates genetics count. Nevertheless they are bred for killing other dogs and they shouldn’t be allowed inside dogparks. But do they know the difference between a dog and a human? After all, dog trainers always tell you to act like a dog when interacting with a dog. You have to be the alpha dog. To dogs, apparently, we are just dogs with two legs. I say hero. They say idiot. You decide. Those comments are from “dog lovers” who have rationalized and actively seek a breed selected for killing other dogs. They could give a crap about the neighborhood dogs, in their minds they are unworthy “curs”. Bear with me here, to see how this is relevant to our discussion. This is an article about new research that shows how genetics effects child development. The gist of the article is, parenting, or “how you raise them” does not effect all childen equally; some children have variants in their DNA, that effect behavior. For instance, having fewer dopamine receptors results in individuals who do not learn from their mistakes, are more likely to become addicts, etc. The article also states that “temperament” in children is under a “strong genetic control”. The article is fascinating, and suggests that genetics has a stronger influence on how children turn out than was previously thought. Does anyone see the irony here? On the one hand, we have scientists providing definitive proof that human behavior is strongly influenced by genetics. On the other hand, we have uneducated, untrained, “pit bull activists” insisting that domesticated animals, which are selectively bred for certain genetic traits, are not influenced by genetics, but are solely influenced by “how you raise them”. Why are we even having this discussion? Can it get more ridiculous than this? Can someone please send a copy of this article to every politician deciding that BSL isn’t “fair”? Thanks anonymous for posting the info and link. I enjoyed the article. Genetics are huge and the issue goes unquestioned in most circles. People don’t fork over 5,000 for a stud fee, or pay up to 20,000 for 2 year old cutting horse colts for nothing. The right genetics run that bid and winners rarely come out of nowhere. Things like confirmation and athleticism should be present, but it’s a sliver of the total equation. More than anything, reining and cutting horses need the right mind and attitude, and these heritable traits are the most primary of considerations. It’s the same with bucking horses and even rodeo bulls. Those stars weren’t discovered, they were created through genetic selection because of their family performance history. But when it come to pit bulls — bred for aggression and destructive force, this broken widget in the animal arena abandons all intellectual reason to yammer inanely about nurture and forsakes all nature. It’s preposterous. Someday, we may have the genetics in hand to better understand people who are unable to acquiesce to significant evidence. 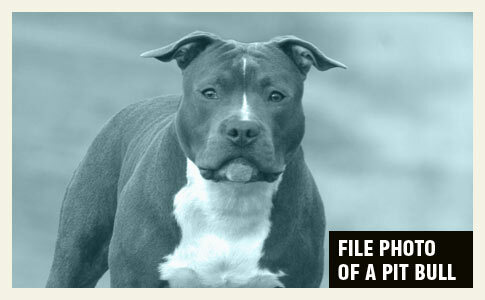 In the case of pit bull advocates, I suspect the findings will be unusual and interesting. Complex behaviors such as retrieving and herding are generally accepted to be largely based on genetics. The pit community, disavows the hundreds of thousands/millions of dogs culled for not killing bears/bulls/dogs efficiently enough as having nothing to do with the mauing tendencies of the breed. Don’t forget Pit Bulls were initially bred to attack Bulls and Bears – much larger animals than themselves. So this debate about the qualities of “dog aggression” vs “human aggression” is like trying to compare “seal aggression” vs “human aggression” in great white sharks. How many innocent people have to die before this debate is recognized as a distraction from the true issues: Pit Bulls are dangerous for humans. For the pit nutters to say this, it proves they understand how dangerous the dogs are. They just expect everyone out there to shut up and stay out of their way so they can continue owning such dangerous animals. Basically, if a pit bull hurts you or your dog, that’s your fault.